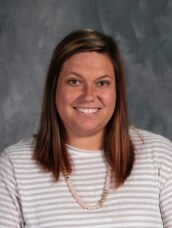 Kelsey Meier is the principal at Westside Catholic School. She has a Master's in Educational Leadership from the University of Southern Indiana. This is her 8th year teaching in the Evansville Diocese as she previously taught two years at St. Matthew School. Mrs. Meier utilizes hands-on learning activities in her lesson plans as much as possible to make concepts more meaningful to the students. "It is a wonderful feeling to see the students truly engaged in the learning process." In her spare time, Mrs. Meier loves spending time with her two-year old twin girls, Lettie and McKinley, and husband, Joey. She enjoys swimming and remodeling houses.